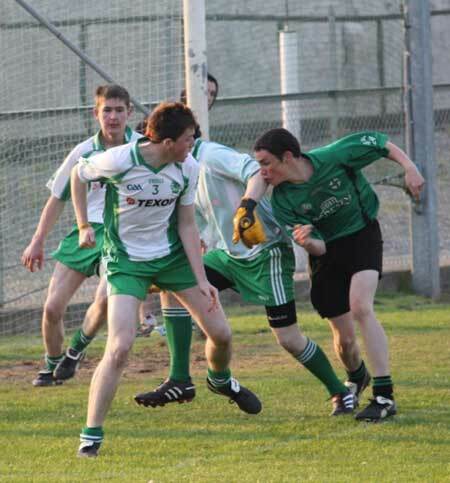 Aodh Ruadh were made fight to the bitter end for the two points in this minor league tussle. 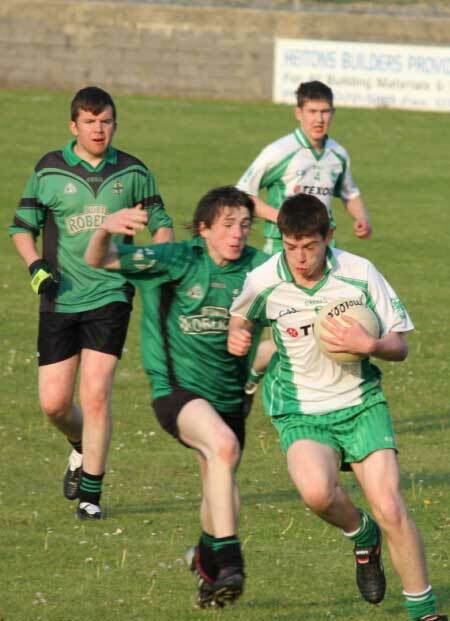 Ballyshannon played with a strong breeze in the first half, but struggled to extract maximum value from it. 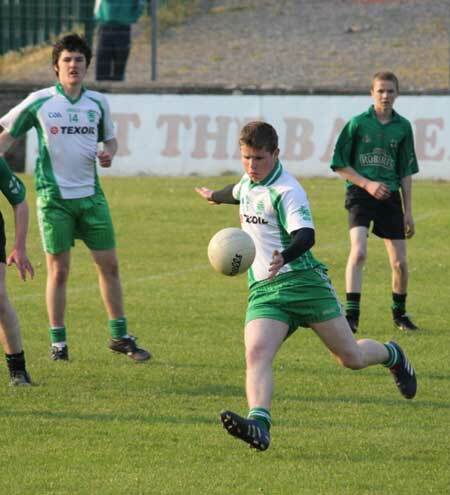 Long balls in were carried over the end line or hit the chest of Aodh Ruadh forwards with such force that they were very difficult to control. 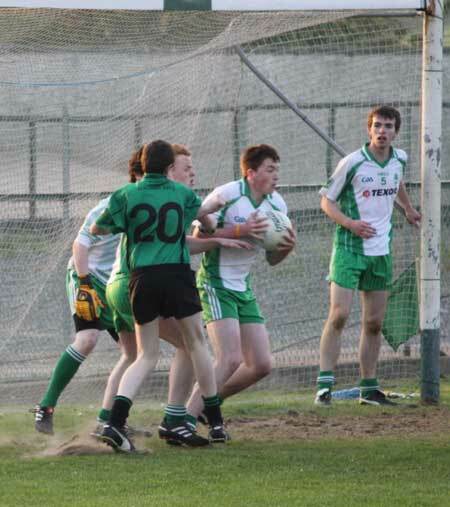 Under 16 David McGurrin was in super form and punished a very physical Naomh Br�d rearguard at every opportunity. He opened the scoring with a free two minutes. Like many of his first efforts, he had to kick from distance with a tricky following breeze to contend with. Ruair� Drummond hit the next point, before another soaring McGurrin free. 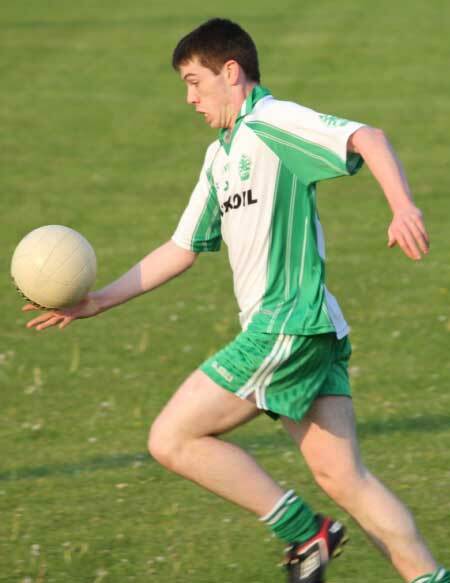 McGurrin turned creator for Ballyshannon's next score on 20 minutes as James Barron tucked over a neat effort. Niall Murray hit a good score from play before another long range free from McGurrin left 0-6 to 0-0 up. However with Naomh Br�d playing with the wind in the second half that didn't look like it would be anywhere near enough and their was some worry among the home support. 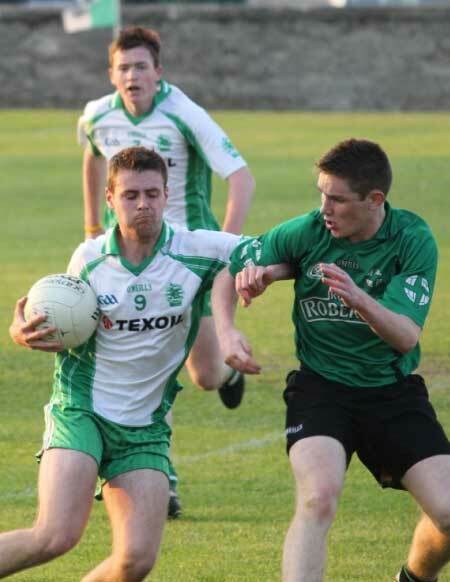 Jamie McDonald came in and immediately put over a point and gave a more settled look to the Ballyshannon attack. David McGurrin finished the scoring two minutes into added time half in the second, just about squeaking his free from just outside the penalty box over the bar. 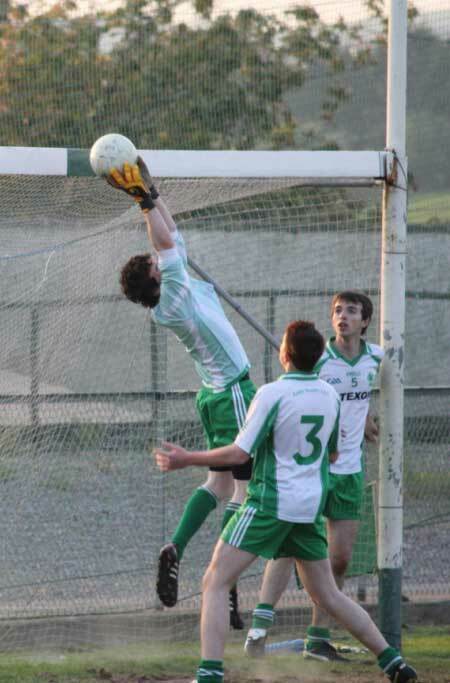 The fears of the Aodh Ruadh support looked justified moments into the second half. 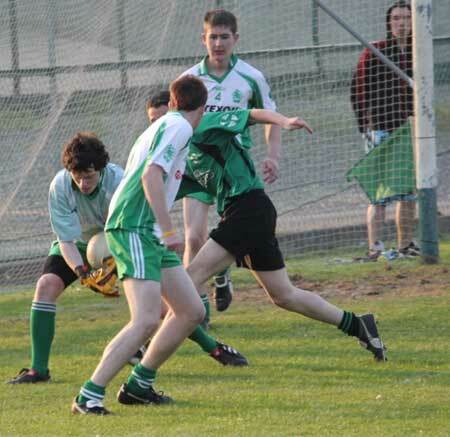 Naomh Br�d burst through on the Aodh Ruadh goal only to see their shot come back off the upright. 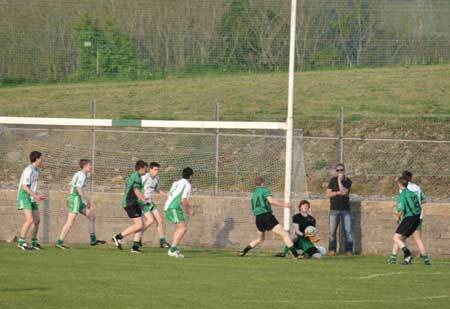 Liam Browne was unsighted and misinterpreted the rebound as a foot block and ordered a penalty. Martin Gallagher made a great attempt to save it, but Callum Gallagher's shot was a cracker, totally unstoppable. 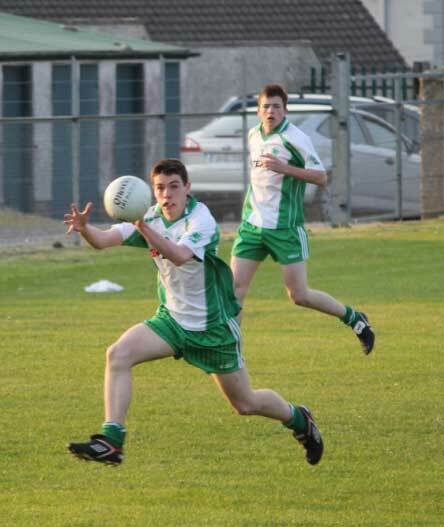 There was five points in the game now and Naomh Br�d looked will placed to push on and take full advantage of the breeze. 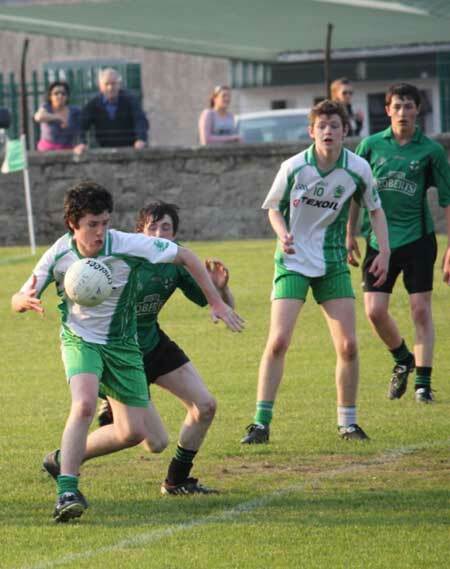 Aodh Ruadh though, showed serious guts and responded with a fabulous score. A sweeping move up the pitch saw Ciaran Keown strike over a classy answering point to great cheers from the Ballyshannon support. The next score looked crucial, and it fell to Ronan McGurrin with nearly 40 minutes gone. He swept over a point from close range to make it 0-10 to 1-0. 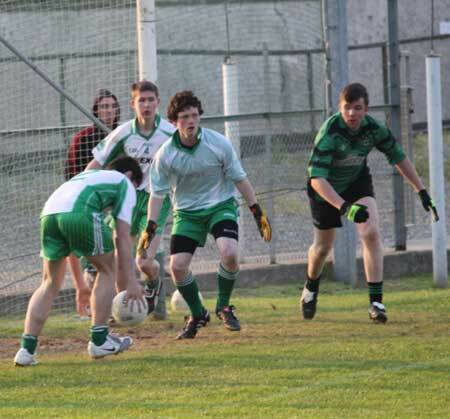 The turning point of the game came with a moment of madness in the Naomh Br�d rearguard. Their full back, Chris Price was out on the wing after having won a free out. 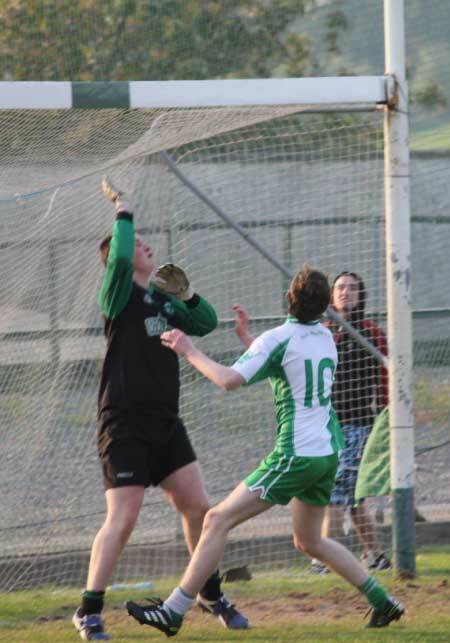 He hit the ball back to Jamie Dorrian in the Ballintra net, but Dorrian wasn't aware of Price's intentions and by the time he scrambled back to clear the danger it was too late. 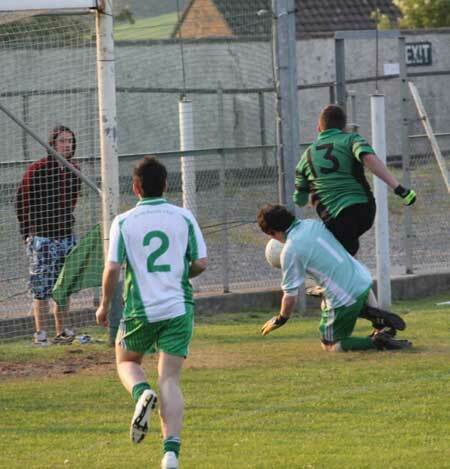 The ball was in the Naomh Br�d net. 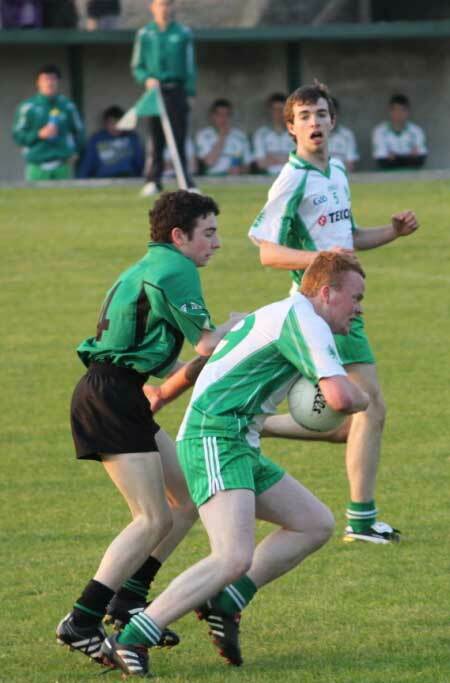 After that amazing own goal, the stuffing was knocked out of the Naomh Br�d challenge. Fittingly the final score of the match came from David McGurrin. 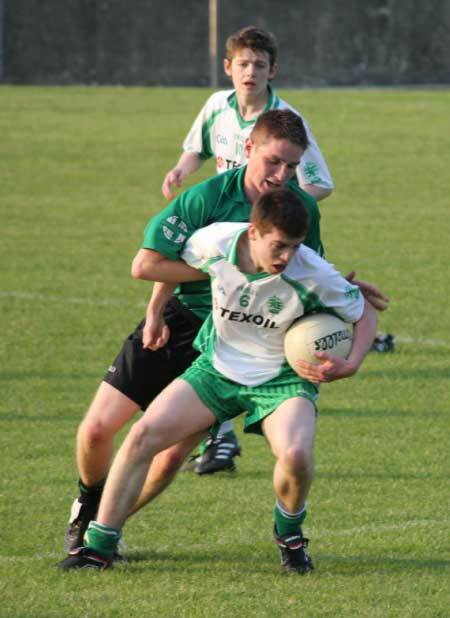 He was flailed to the ground by Alan Quinn with eight minutes to go, a challenge which earned Quinn a yellow card. 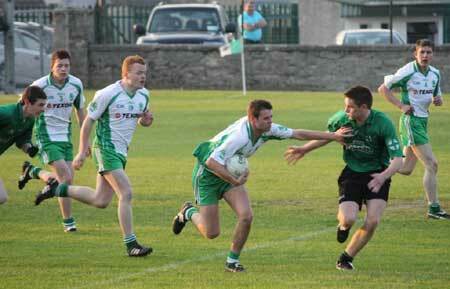 McGurrin drove his free ver the bar into the stiff breeze to give Aodh Ruadh a hard earned 11 point victory. 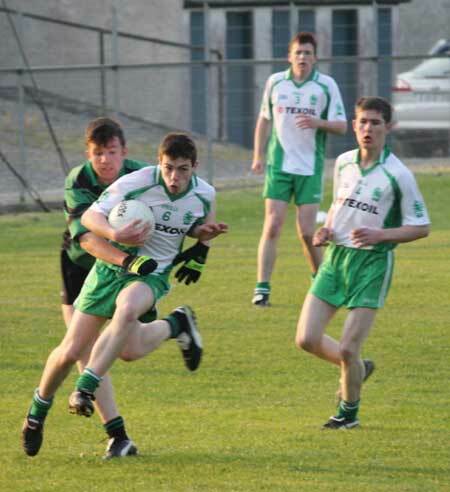 There were a lot of good performances from Aodh Ruadh, particularly in the second half when the game needed to be won. PJ Gillespie was outstanding at corner back. 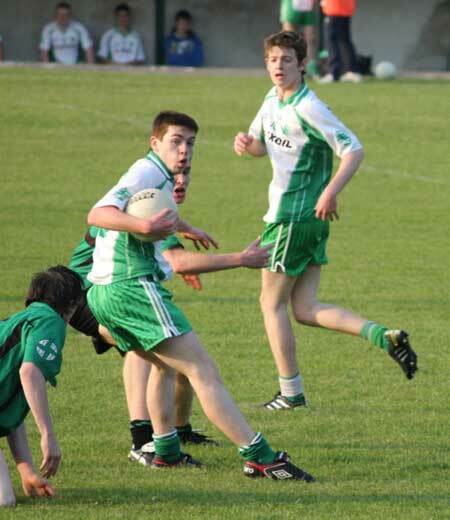 Conor Patton was simply sublime, his anticipation and reading frustrated attack after attack. Ronan McGurrin was superb in the centre of the field, utterly dominating the exchanges against Sam Burgess and Ross Gallagher. Martin Larkin gave a determined and dogged display throughout and was unlucky not to be rewarded with a score. 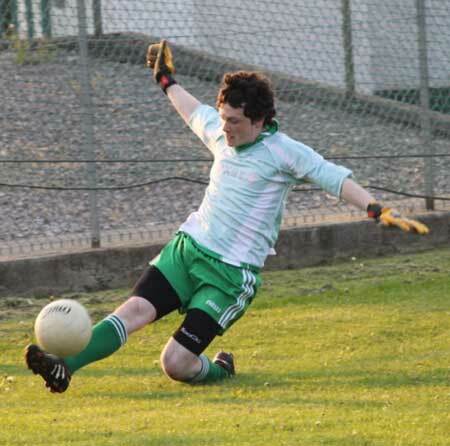 David McGurrin's accuracy and capacity to take punishment was a big part of the Aodh Ruadh win. Martin Gallagher; Padraig Storey, Eamon McGrath, PJ Gillespie; Conor Patton, Ciaran Keown (0-1), James Kelly; James Barron (0-1), Ronan McGurrin (0-1); Niall Murray, Alan Finan, Martin Larkin; Ryan Granaghan, Ruair� Drummond (0-1), David McGurrin (0-5f). Substitutes: Jamie McDonald (0-1) for Ryan Granaghan: 26 minutes; Marcus Harley for Alan Finan: 41 minutes; Brian�n Drummond for Padraig Storey: 52 minutes; Fergal Meehan for Ruair� Drummond: 57 minutes; Sylvester Maguire for David McGurrin: 57 minutes. Yellow Cards: James Barron: 10 minutes & 59 minutes; Conor Patton: 58 minutes; Brian�n Drummond: 60 minutes. Red Card: James Barron: 59 minutes. Wides: 12: James Barron: 2; Ronan McGurrin: 2; Martin Larkin: 2; David McGurrin: 2; Jamie McDonald: 2; James Kelly: 1; Ryan Granaghan: 1. Jamie Dorrian; David Robinson, Christopher Price (1-0 og), Liam Duffy; Alan Quinn, Gary McGrath, Richard Walsh; Sam Burgess, Ross Gallagher; Ryan Kerrigan, Callum Gallagher (1-0 pen), Conor McNulty; Owen McFadden, Daragh Brogan, John McGrory. Substitutes: Ronan Cassidy for Ryan Kerrigan: 37 minutes; Paul Robinson, Michael Travers. Yellow Cards: Owen McFadden: 48 minutes; Alan Quinn: 51 minutes. 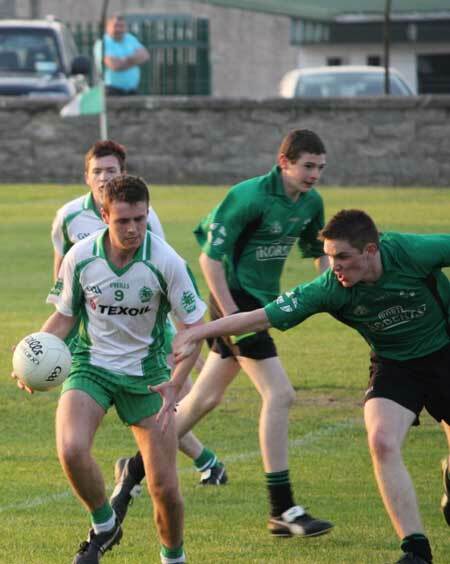 Wides: 4: Ryan Kerrigan: 1; Callum Gallagher: 1; Conor McNulty: 1; John McGrory: 1.